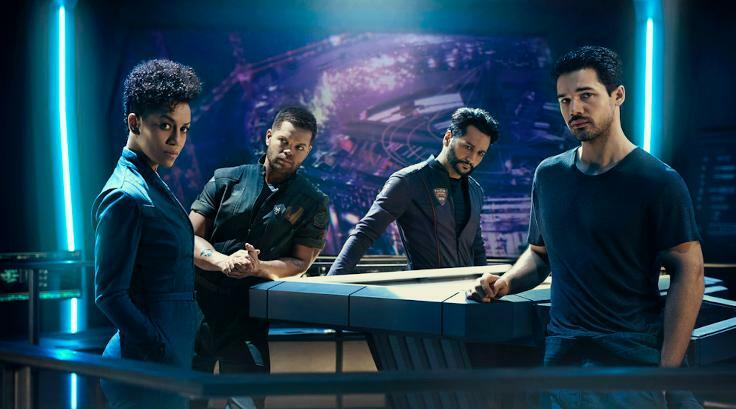 Syfy's The Expanse's Twitter account has shared a new premiere date. Season 2 will now premiere February 1, 2017. That’s one week earlier than previously announced. Yay! ENTERTAINMENT WEEKLY: We ended season 1 with the protomolecule starting its consumption of Eros. So are we going to pick up Season 2 right there? NAREN SHANKAR: Yes, and no would be a way to answer that, I guess. It’s pretty quick after the last scene of season 1, is where we’re starting. We have our guys on the Roci fleeing Eros, and Miller and Holden have been heavily irradiated. So we’re picking up pretty quickly after that. We’re about two-thirds of the way through Leviathan Wakes. So, there’s still plenty of that book to be done, and we are picking up at that point. There’s a lot of big events that happen subsequent to the guys leaving Eros in the book, and that is definitely the first chunk of the second season, so we’re picking up the scene after that. And it’s really about the understanding and discovery of what has happened on Eros station. There is a massive battle to attack the mysterious place where all of the information from the Eros experiment is being beamed to that the guys kind of caught wind of at the very end of episode 10. So that’s the big first movement for season 2, and if you’ve read the book, you know where these things culminate — the launch of the Nauvoo, the mission to Eros, and everything that happens after that. So much of book two, Caliban’s War, is about the evolution of Holden and how he changes. Is that something you guys are going to be touching on? Absolutely, and I think that we really have phrased it more in terms of the evolution of Holden and Naomi. And also, with Amos and Alex, one of the themes that we want in season 2 is this notion that when things are getting bad and people are fighting, it’s very hard to stay on the sideline; it’s very hard to remain neutral and above the fray. Sometimes, you have to take a side. And that’s happening with everybody in our show. And the evolution of Holden that we were talking about that was in the book, it’s really reflected in the series, but it’s reflected in Naomi and Amos and Alex and Avasarala and Errinwright and a lot of these characters in different ways. But that is very much front and center in season 2. The adaptation of James S.A. Corey’s book series about an interstellar battle over control of an ancient alien bio-weapon will return for season 2 in 2017 on Syfy with a fan-favorite making the leap from page to screen. 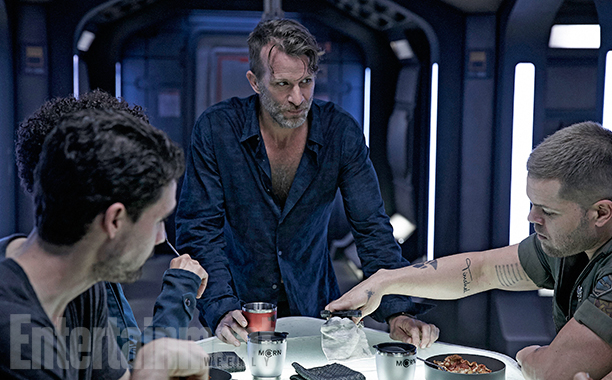 ENTERTAINMENT WEEKLY: Fans of the Expanse books are really excited to see Bobbie Draper onscreen. Tell me about how you found actress Frankie Adams to help bring Bobbie to life. NAREN SHANKAR: When you ask a casting director to find a 6-foot half-Polynesian, the response is usually one of stunned silence, like, ‘Really?’ And we were like, ‘Yeah, really.’ We’ve been very conscious about maintaining the ethnic identity of the characters in the book as much as humanly possible. And we were really intent on doing that with Bobbie. We actually looked in the U.K., Los Angeles, New York, Toronto, Hawaii, and New Zealand. And when [co-author] Ty Franck saw the first casting tape on her, he said, “That’s her, that’s her,” right away. She’s a professional boxer, as well as being a model and so she had the physicality and a very interesting, unusual kind of face you rarely see on television. She’s awesome and we couldn’t be more delighted to have her on the show. Are we also going to be meeting any other characters from the second book, like Prax? Absolutely. I’m not going to tell you exactly when in Season 2 we’ll see him, but yeah, for sure. Because we’re moving right into the events of Caliban. And I think that one of the things we’ve adjusted, as a series, is when Ty and [Daniel Abraham] wrote Leviathan Wakes, they didn’t know if there was going to be a second book or not. So, when they wrote Caliban’s War, the events of that are set about a year-and-a-half or so after the end of Leviathan. We kind of went for dramatic compression and tension. We put all that together. So, it’s happening in a more compressed time framework, but we feel like it has actually helped up the stakes and helped up the drama pretty substantially.